Happy Monday, dear readers! I hope you had a wonderful weekend and your week is off to a great start. This weekend was pretty chill for us as we stayed close to home. My husband and I celebrated our 7th anniversary yesterday, and we celebrated by him painting the cabinets in the boys' bathroom while I did laundry so he had clean clothes and followed the World Cup final. Such glamorous lives, right? At least we made it out for dinner! 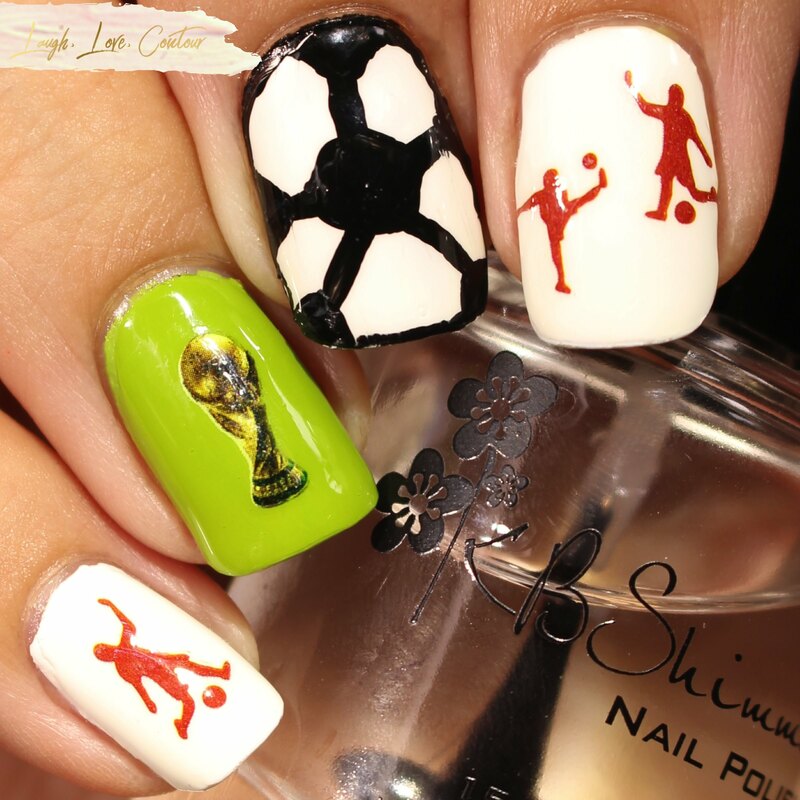 I've been wanting to do a fun nail art design for the World Cup, but I'll just go ahead and be honest- I had something a little different in mind than the final look. After two failed attempts, I ended up taking the easier route and still ended up with something kind of meh. Just can't win them all! 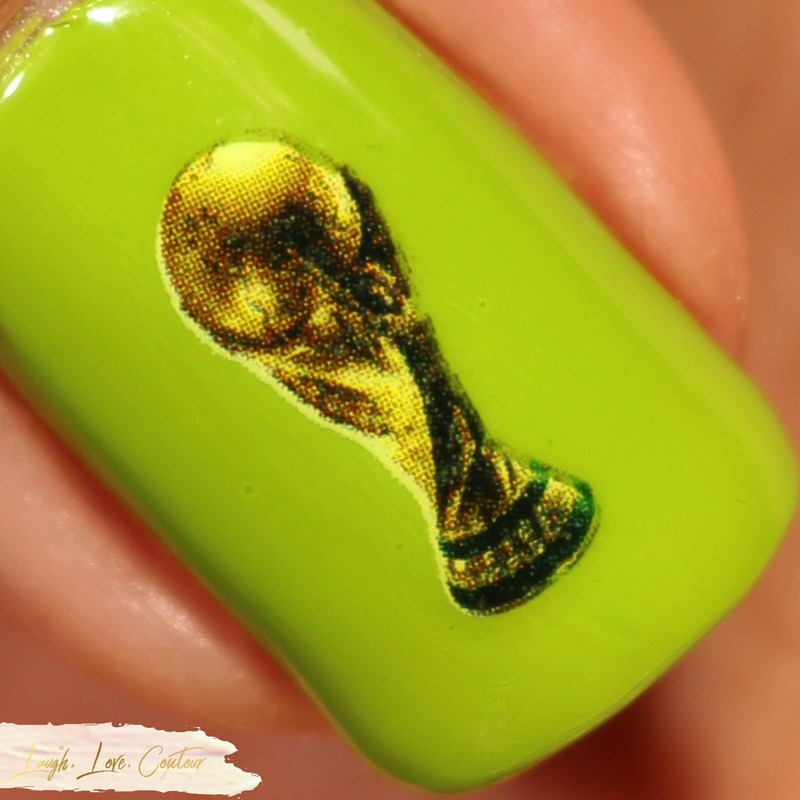 Anywho, here's my World Cup nail art design! See that soccer ball? Oh yeah, that's my terrible free hand work. This is a good reminder why I like to stick with decals, vinyls and stamping. Even if it wasn't perfect, I can still say "I did this" and at least give myself an A for effort. While this isn't my favorite nail art look, it was still fun to show some football/soccer spirit for the final game yesterday. It was also nice to have some nail art on my nails again, even if it was a trying experience this time around. I had some nail art items arrive in the mail last week, so you can expect to see more (and I'm really hoping for BETTER) up on my blog soon! Decals are definitely the easy way to get detailed nail art without the hassle. Can't wait to see what other nail art you create! They are the best thing ever! My freehand here reminded me to stick with what I'm good at, you know, decals, haha! I totally see a soccer ball. I don’t know what to do without soccer now! You are too kind! Thank you! Some of us at work have been talking about the games so now it is sad it is over for now! Thank you! I actually enjoy both although I'm terrible at playing it, haha! I'm really impressed by your skills! Such a great look!!! I was stoked about france's win! If I want nail art it has to be stickers! Happy anniversary. When my sons were young we spent our anniversaries the same way. It's just important to be together. I normally don't care about soccer, or sports in general, but this year for some reason I wanted to watch every match. 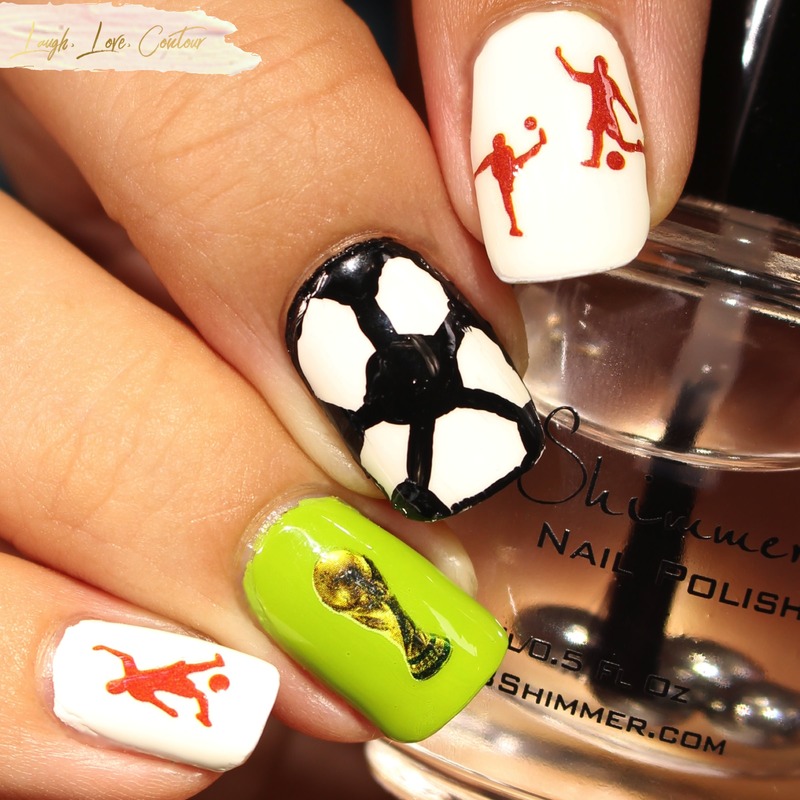 Love the soccer ball nail, I don't think I have ever done that! I really liked this nail art! The soccer ball was actually my favorite. This year's World Cup was SO interesting and topsy-turvy! I absolutely adore the trophy nail. Your freehand skills are far, far superior to mine, and the football was completely recognisable, so yay! Your soccer ball is so stinking cute!!! This was such a great year and would have love to have watched more of it!